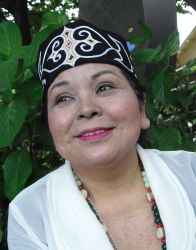 For years, Tamiko Kumagai lived in fear of revealing her Ainu roots. But several months after the Great East Japan Earthquake, when she was told she had less than a year to live, she became determined to embrace her roots and help earthquake victims do the same. 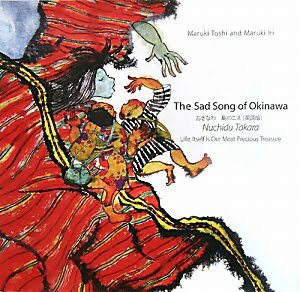 The Sad Song of Okinawa~Life Itself is our Most Precious Treasure is the heart-wrenching story of the Battle of Okinawa, "World War II's longest and fiercest battle," as told from the perspective of two young Okinawan children. It is in the form of a picture book for young readers, but certain to stimulate discussion among all age groups about the nature of war and peace. 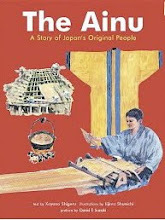 The original Japanese version was meticulously researched, written, and brilliantly illustrated by Maruki Toshi and Maruki Iri, a husband-wife team of artists whose work is known and respected worldwide. 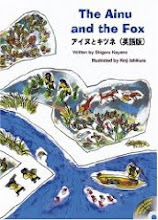 The story begins with a delightful description of the beauty and joys of life in Okinawa, with the impact of the text multiplied by the vivid colors and whimsical illustrations. Young Tsuru and her even younger brother Saburo live in this joyful land along with their parents and extended family. 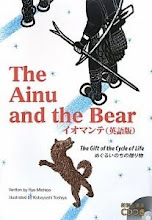 After impressing this charming setting firmly in the reader’s mind, the text continues: “The war came to Little Tsuru’s house when she was seven years old.” In both great and small ways, the life to which the children had been accustomed begins to crack and crumble. The illustrations become darker and more chaotic. Though the text continues in a matter-of-fact tone, the scenes that the words describe make your hair stand on end. The desperate reality of the situation is enhanced by many innocent-seeming details, such as what the evacuees choose to take from their homes as they flee, and the color of the mud puddle that the children must drink from to quench their raging thirst. 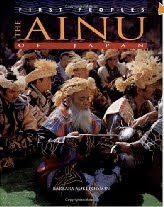 The Okinawan language, particularly in the form of a song Grandfather sings to the accompaniment of the sanshin (Okinawan banjo), weaves through the text, adding further continuity to the story. “Ikusayun shimachi, mirukuyun yagati, (the war will pass and there’ll be days of peace and pleasure) Nagikunayo shinka, nuchidu takara ( Don’t cry my friends, life itself is our most precious treasure).” The story ends with a repetition of this last phrase (“life itself is our most precious treasure”), which also serves as the book’s subtitle. The publication of the English version of the book was made possible by the efforts of The Sad Song of Okinawa English Translation Project. It took three years for the project team to raise the funds necessary to get it published. Project members Kinjo Haruna, Andrea Good, and Rob Witmer undertook the translation of the original Japanese (and Okinawan) into English. I'm pleased to say that the book is finally in published form as part of the RIC Story Chest series. As all books in that series, The Sad Song of Okinawa comes with a CD recording of the story text to assist young readers and speakers of English as a foreign language. Two Okinawan folk songs performed by Nahgushiku Yoshimitsu are also included in the CD. 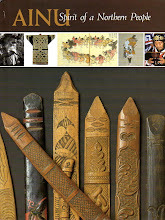 The book can be purchased from RIC Publications or from Amazon Japan (under its Japanese title).